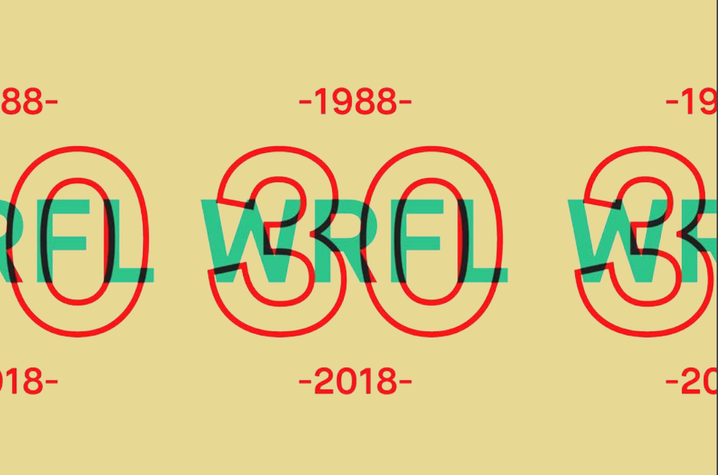 LEXINGTON, Ky. (Feb. 22, 2018) — Turning 30 years old is a big deal, and WRFL-FM, the University of Kentucky's student-run radio station, plans to celebrate its 30th birthday with a big bash, and everyone is invited. The WRFL 30th Birthday Bash will take place Friday through Sunday, March 2-4, at the The Burl on Manchester Street in Lexington. The event will assemble at least 10 bands to perform over Friday and Saturday nights and Sunday afternoon, including classic Lexington bands, all with WRFL connections, performing Sunday. The Friday and Saturday events are ticketed, and the Sunday afternoon event is free. Tickets are available at the UK Ticket Office. From noon to 4 p.m. Saturday, March 3, at the Downtown Arts Center in Lexington, a special exhibit of WRFL art over the years will be on display and the WRFL documentary "How It Went Down" will be shown followed by a panel discussion on the impact of college radio. This is a free event. The entire weekend also offers a chance for WRFL current and alumni DJs to meet and share their experiences. Doors open at 8 p.m. Show begins at 9 p.m.
F.M. Era: 30 years to the Left at the Downtown Arts Center: An exhibit of WRFL art over the years, a screening of WRFL documentary “How It Went Down" and a panel discussion focusing on the impacts of college radio. Doors open at 7 p.m. Show begins at 8 p.m.
WRFL 88.1FM is the University of Kentucky’s student managed, community driven radio station. WRFL broadcasts live, 24 hours a day, 365 days a year, providing Central Kentucky a diverse, alternative source of music, news, and other programming not found anywhere else in the Bluegrass region. WRFL coverage area includes Georgetown, Frankfort, Versailles and Stamping Ground, as well as Lexington. Listeners outside the broadcast area can stream the signal online at WRFL.FM.